How many days are left until the kids go back to school? There are two types of parents, those of us who can’t wait for the kids to go back to school, and those that are crazy … just kidding! It’s crunch time parents! I know it feels like summer just started, but school is just around the corner believe it or not. Sending the kids back to school can be financially stressful for many parents. 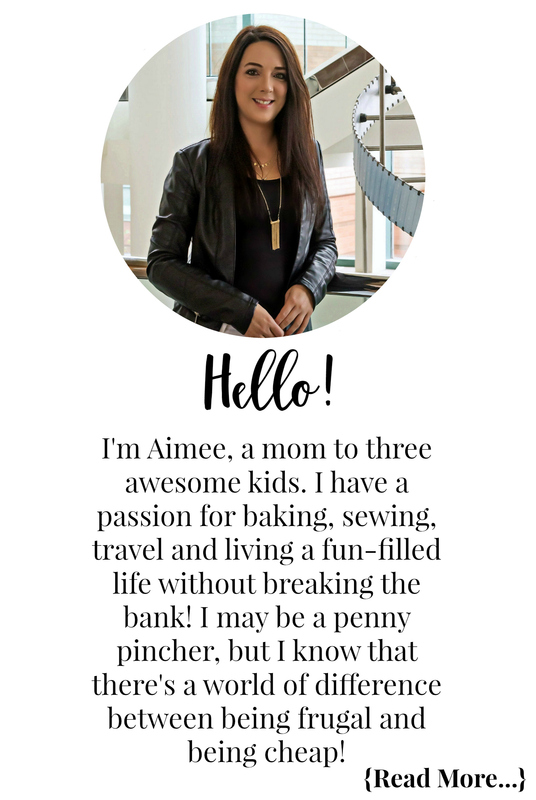 I can definitely say I was one of those parents for many years when I was a single mom struggling to make ends meet. Even now, if I didn’t budget and have an eye for great deals, I would struggle to send my two teenagers and Bella to school with all they need. So if you are feeling the back-to-school pinch on your wallet keep reading. Today I’m telling you all about one of my favourite places to score incredible deals! 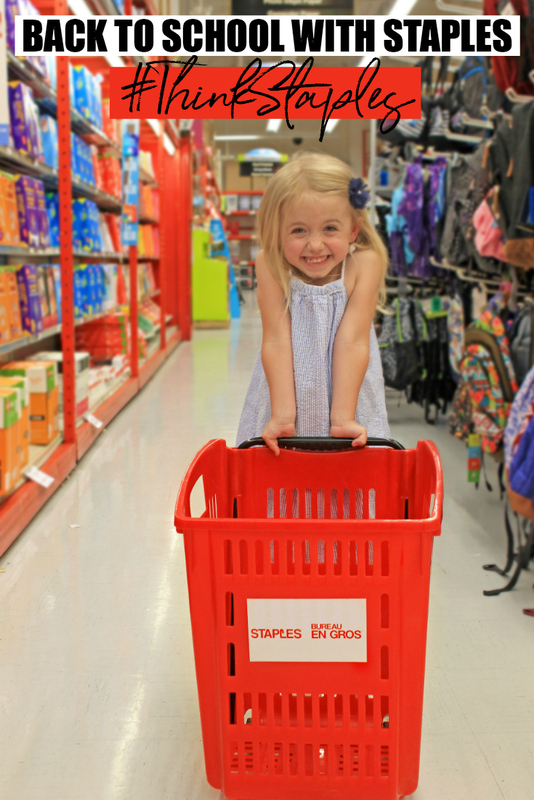 If there is one place that always has amazing back-to-school sales it is Staples! One year the deals were so crazy that I had Steve and Abby come with so we could all buy the limits and stock up. And if there happens to be something cheaper somewhere else, they PRICE MATCH! Staples Price Match Policy: If you find a lower advertised price on an in-stock, new identical item from an Authorized Canadian dealer, now or within 14 days of your purchase, just show them the price and they will match it. So that paired with their amazing prices and selection makes them the top retail destination for back-to-school essentials. 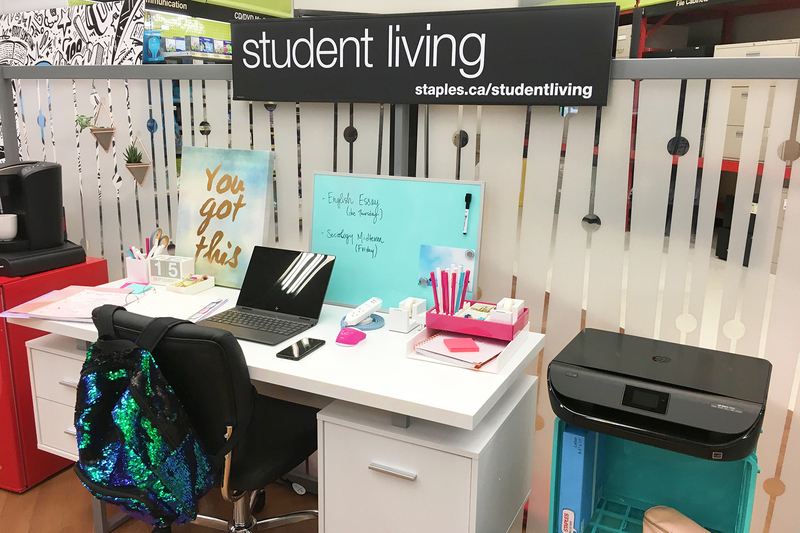 Your one-stop shop, Staples has you covered for all things student living, including furniture, tech, school supplies, accessories and more! There is nothing worse than buying a backpack and having it break mid-year. 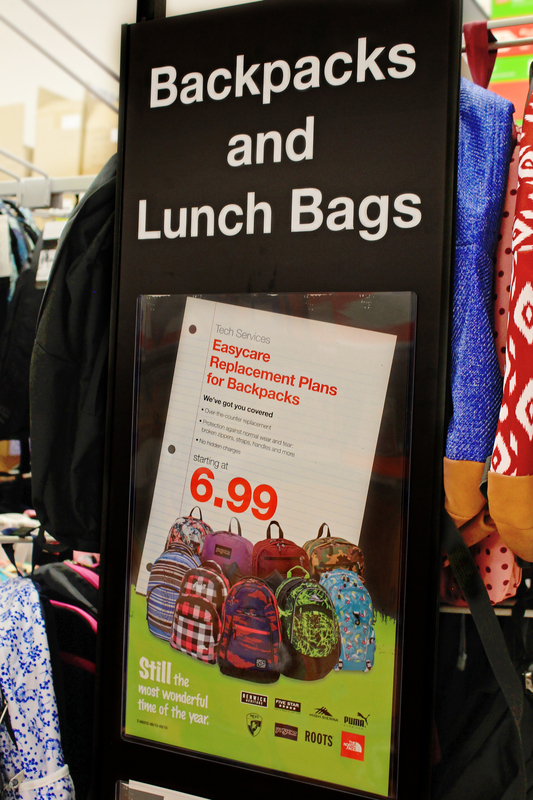 The cost to replace them outside of back-to-school shopping sales can be expensive. Thankfully though, Staples has a great replacement plan that starts at just $6.99 giving you peace of mind all year-long! MOM TIP: Backpacks and shoes are two things you DON’T want to “cheap” out on. Buying a good quality backpack will save you headaches and money in the long run! Bella definitely found the fun section in Staples. While she didn’t need anything from here for Kindergarten, I let her pick out a special fun pen for at home! I found some great deals (no surprise) on back-to-school essentials while shopping for the girls at our local Staples. Don’t forget to check their weekly flyers for all their great back-to-school sales! 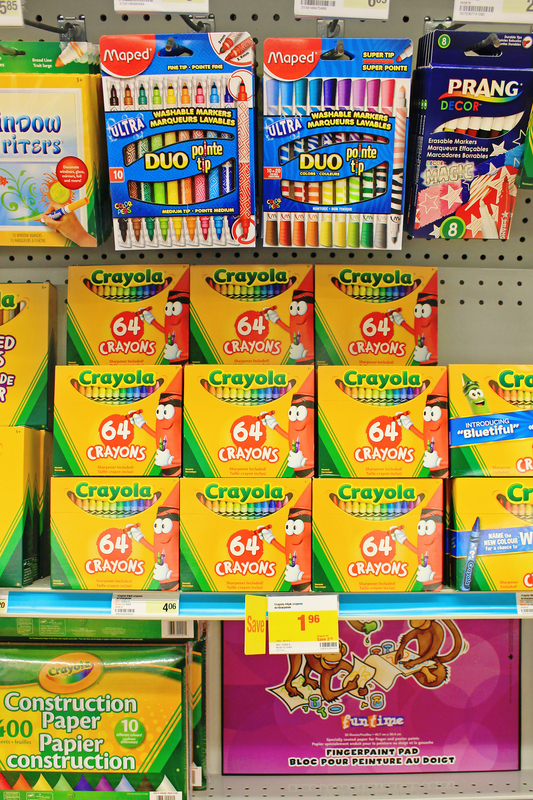 You can’t beat this price, $1.96 for a 64ct box of Crayola Crayons! Trust me, I checked my flyer app and they were on sale for $2.47 at another major retailer. 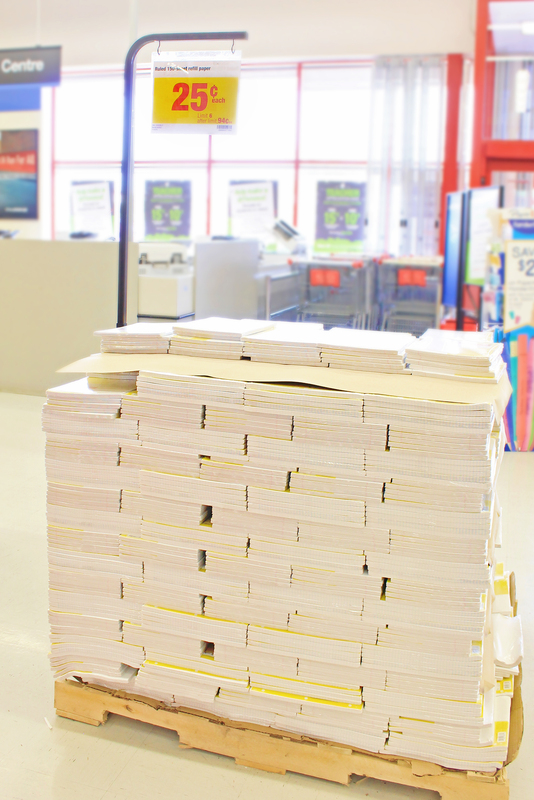 The never-ending need for paper is real. Stock up on 150ct refill paper for only $0.25! Bella inspected every bin to see if she needed anything! 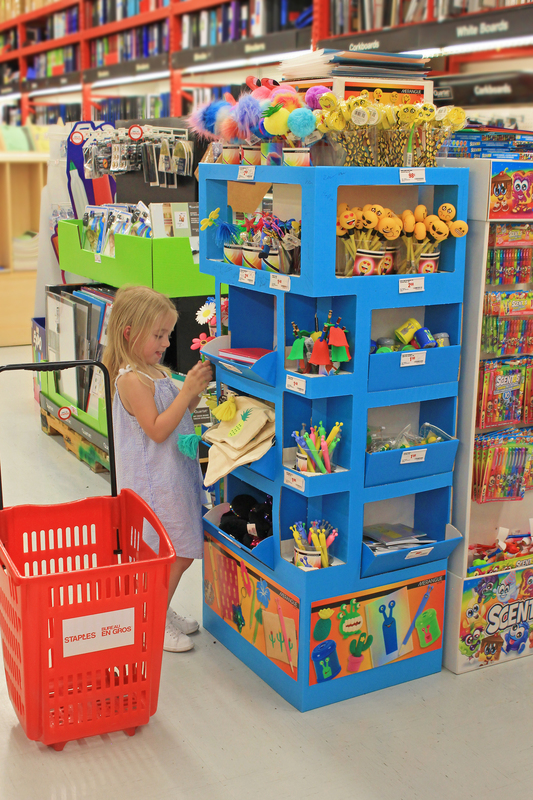 The best deals will be found in the freestanding bins around the store with the yellow price tags. 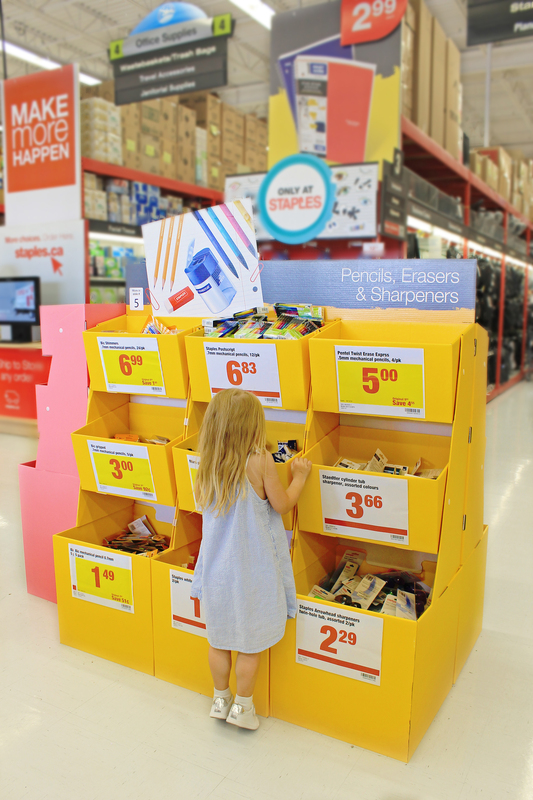 So if you are feeling the back-to-school pinch on your wallet, be sure to #ThinkStaples and score some big savings! Sending Your Child Off To College? While we are not yet at this stage, I know many of my readers are preparing to send their kids off to college. Another amazing thing about Staples is the ability to buy online and have the items shipped either to a local staples near their dorm, or directly to their dorm once they are there. Staples has an incredible selection of furniture and accessories to deck out their new pad, making moving into their new place easy. Don’t let back-to-school shopping stress you out financially. 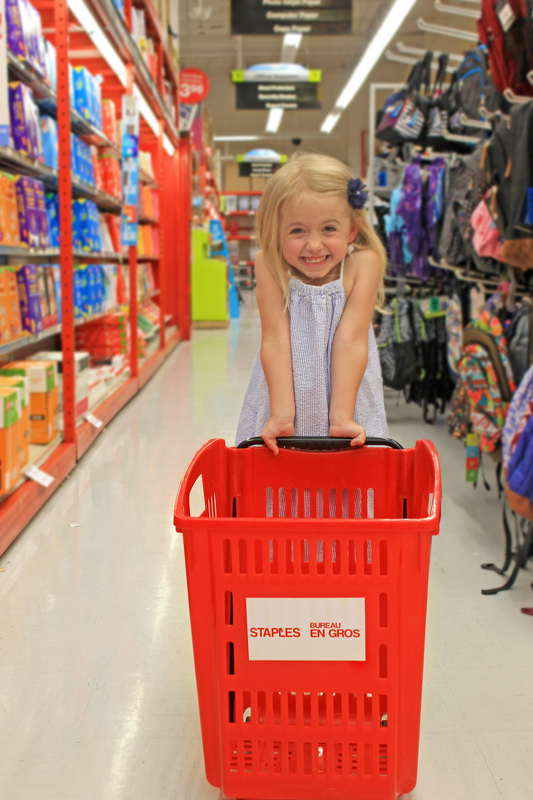 Head to Staples Back-to-School Centre to see how easy and budget-friendly back-to-school shopping can be! Disclosure: Although this post is sponsored by Staples, the opinions and language are all my own, and in no way, do they reflect Staples. Any product claim, statistic, quote or other representation about a product or service should be verified with the manufacturer, company, provider or party in question. I’ve learned the hard way that cheap backpacks really are that – cheap! 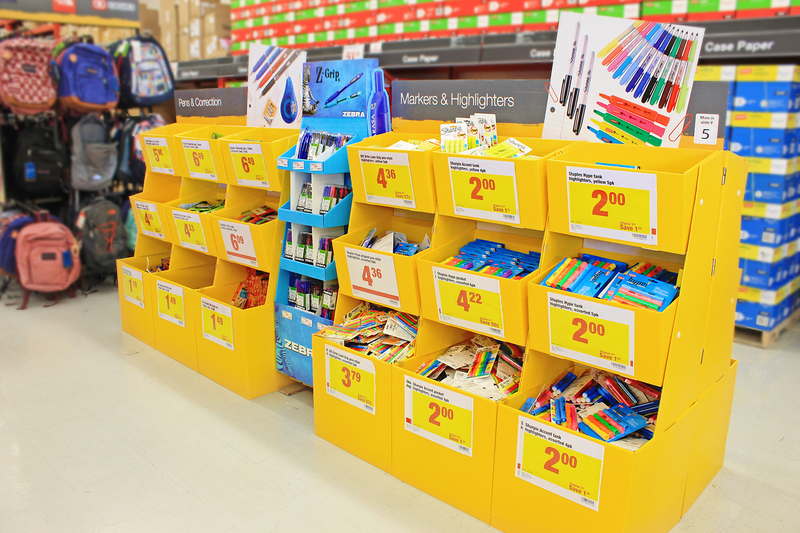 Staples can be pricey, but they do have great sales and that is a great time to stock up!